How about a resounding no. He was clearly symptomatic of a developing heart failure during his last three days alive and that was only proven by his demise in bed after packing it in. He likely passed out rather quickly after laying down and likely never knew he was in trouble. His real enemy was simply too many years and an unwelcome fifty pounds. It really then becomes a real crap shoot. The medical examiner was completely correct in confirming natural causes. The only reason it is even brought up is because his death was never going to be timely. In an essay posted on his website, Savage asked what would happen if Donald Trump were in the White House in his final year and the justice was Ruth Bader Ginsburg. In an interview Monday with GOP presidential candidate Donald Trump, Savage discussed the implications of Scalia's death. 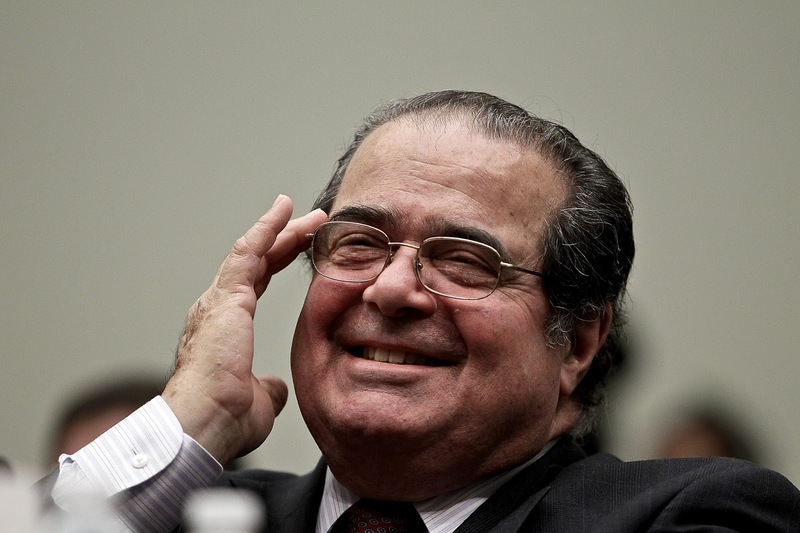 "We had a razor-thin savior of the conservative, or, shall I say traditional, ways in America, Antonin Scalia, who was found dead under suspicious circumstances," he said. "And now this character in the White House who nobody with a rational mind should trust is trying to railroad Loretta Lynch down our throats ... as his number one choice. Can you believe this?" Savage said somebody must stop Obama's nomination to the Supreme Court so the choice can be made by the new president. "And I hope it's you," Savage told Trump. Savage noted Scalia's role in the Supreme Court's Feb. 9 decision that temporarily blocks Obama administration rules to limit greenhouse gas emissions from power plants. "Donald, you know that just five, six days before Scalia was found dead with a pillow over his face, he was the lead voice against Obama's attempts to railroad that green gangsterism down our throats, he knocked it out? He was the one who did it." The 79-year-old Scalia had been on a hunting trip at the Cibolo Creek Ranch in Presidio County, Texas. “As part of my investigation, one of the things I did ask the sheriff and the U.S. Marshal: ‘Were there any signs of foul play?’ And they said, 'Absolutely not.' At that time, I still wanted to be careful, and asked them if [Scalia's] physician would call me,” Guevara said. Guevara said she talked to Scalia's doctor in Washington, D.C., who told her Scalia had been sick and had visited his office Wednesday and Thursday before going on the hunting trip Friday. Scalia, who was appointed to the high court by former President Ronald Reagan, was the longest-serving justice on the court, having taken his seat on Sept. 26, 1986. - Was Scalia Murdered?